Historical fiction seems to embody a contradiction. If we want to know what happened, we can consult an archive. If we want a transcendent experience, we read fiction. In the only historical novel I have ever written, I decided that I could put an ice house in a rural Arizona town several years before there was actually such a thing, but that I could not blow off the arm of a famous Mexican general two years before, historically, it happened (240). Such blending of fiction and fact differs from creative nonfiction about historical events, not because creative nonfiction doesn’t include a mix—it does, sometimes—but rather because creative nonfiction doesn’t place us in the past. Take for example “Margot’s Diary,” (one of the essays in Burroway’s chapter on creative nonfiction in Imaginative Writing), in which writer S. L. Wisenberg speculates about the life of the Frank sister who is unknown to us because her diary didn’t survive, as Anne’s did. 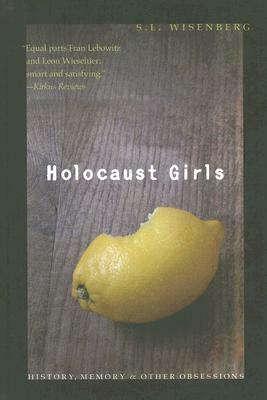 Wisenberg writes an un-diary of sorts, an essay in nine sections, the last titled “At Bergen-Belsen, Winter 1945.” But Wisenberg doesn’t place the readers at the concentration camp where Margot died, nor does she place us in the Frank houses in Frankfurt, Germany and Amsterdam in the earlier sections. Instead, Wisenberg imagines what Margot may have written before she “ran out of language” (255). Her aim is not is not to return us to the past, as Howe does, but to leave us with an unfinished portrait that conveys a profound sense of loss. Wisenberg, S. L. “Margot’s Diary.” Imaginative Writing: The Elements of Craft by Janet Burroway. 3rd ed. Boston: Pearson/Longman, 2011. Print. 252-55.